Delaram Ghanimifard is the co-founder with her husband Karim Arghandehpour of the exciting Tiny Owl Publishing, which launched its first collection to great acclaim last year. 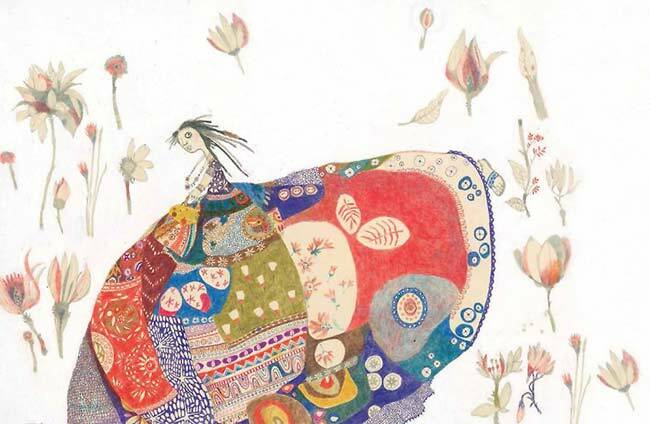 Their catalogue is already bursting with beautiful picture books by both established and new authors and illustrators, many of whom were previously unknown to Western audiences. They range from the award-winning modern classic The Little Black Fish written by Samad Behrangi and illustrated by Farshid Mesghali to newly commissioned books, as well as newly illustrated retellings of Persian classics such as Rumi’s fable The Parrot and the Merchant, given a new twist by illustrator Marjan Vafaian. Dealaram is originally from Iran, where she worked as a journalist before moving with Karim and their two sons to the UK in 2010 to pursue a PhD in sociology. They live in London. It is a great pleasure to welcome Delaram to MWD to talk about how she and Karim came to set up the company and to take a peek at Tiny Owl’s current and future catalogues. Welcome to MWD, Delaram. Please tell us something about yourself. I started my studies at university when I was 17. I was also interested in journalism, so I visited the office of my favourite newspaper often when I was 18. I met my husband there; he was their youngest editor when I first met him. We worked together for a year, and then we got married! After that, I worked mostly as a freelance journalist. I had to stop my studies before I graduated because we were having a baby and my university was in Karaj, a city near Tehran, which meant I had to commute every day, and it was very difficult for me with a baby. But I went back ten years later, when our second son was three and could stay in a nursery. I graduated, I got my MA, and I got an offer from a university in the UK to study for my PhD. That was in 2010, when we moved to London. Can you give some background as to why you set up Tiny Owl Publishing? Did you already have a publishing background? The first year we came here to the UK for my PhD studies was a stressful one. We were a family of four: my husband, our two sons then aged 15 and 9, and me. My younger son went straight into Year 5 without speaking English properly and without any knowledge of reading or writing in the language. His school did a great job teaching him these skills in a short time, while I tried to find storybooks in English for him that he liked. There I realised that although his friends at school come from diverse backgrounds, this was not reflected in the children’s books that we could find in the library and bookstores. In those years a huge wave of migration from Iran to everywhere in the world was happening. Almost all of my friends had now relocated to Canada, Australia, Malaysia, the US, the UK, or elsewhere in Europe. We thought there was a lack of representation of diverse cultural backgrounds in the children’s book market, and these families needed books to introduce their cultural identity to their children and to their friends. We were journalists back in Iran with connections to many authors and illustrators. 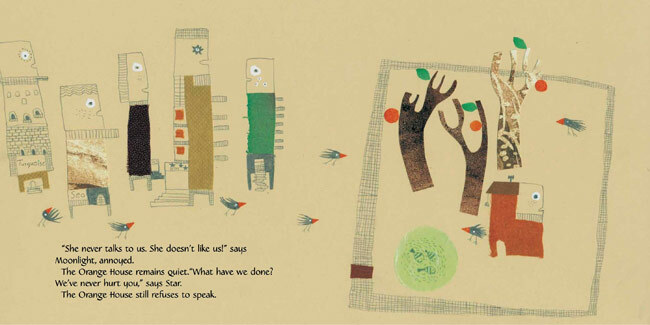 We decided to start Tiny Owl to publish quality books for children from around the world, beginning with Iran, which we knew best. 2015 was a very exciting year for Tiny Owl, with your first books becoming available to young readers, although you and your husband founded the company in 2012. What did it involve, getting to this point? We wanted to launch our first catalogue with the best selection we could find, in terms of both artistic illustrations and rich content. Therefore, we took our time looking and choosing works to publish. We also wanted to do a professional job, although we were not from the UK. We needed to do our research and find out about the differences in the publishing industry between here and Iran. We are happy with the outcome now. We are proud of the books that we have produced, and now we can continue our work with more confidence. Why the name Tiny Owl? This is a funny story. We started out looking for a Persian name or a name that linked the books to Iran somehow. But our aim was not to always publish books from Iran. We needed a name that communicated with everyone and that everybody could understand and relate to. With these thoughts in mind, I was once looking around in Pinterest and I saw a picture of a baby owl captioned as “tiny owl”. I immediately knew that that was what we were looking for: ‘Tiny’ signified children, and ‘Owl’ signified knowledge. And the good thing was that the name was available. What have the main challenges and high points been so far? The main challenge for us has been squeezing ourselves into the competitive world of picture books in the UK. 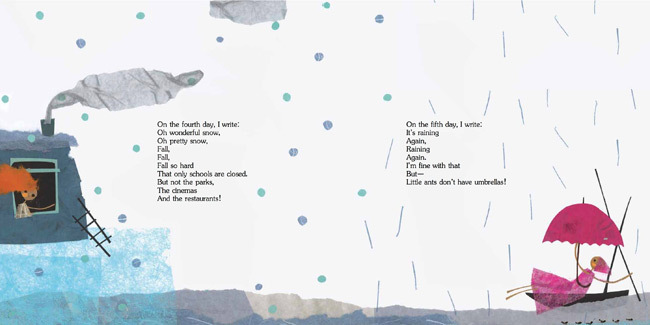 We believe that our books have rich text with exquisite illustrations, and they are beautifully designed. But their styles are new to people here. They are still foreign and it takes time for people to accept them. The market is very difficult but we believe in our work and are determined to survive. The high points are when, as has happened on several occasions, we see that people are enthusiastic about the books. One of our author/illustrators Anahita Teymourian was invited to the Edinburgh Book Festival, which was very exciting and a nice experience. You refer to your books as ‘Persian’ – what does that encompass? Let me first stress that not all of our books are going to be from Persia. We wanted to build a cultural bridge with children’s books. We want our books to be prominent cultural and artistic books from everywhere. But what we knew best when we set up the company were the rich literature and undiscovered art from Iran. So we decided to present that to begin with. Persia has long had a wealth of literature and art. The poems of Ferdowsi, Hafez, and Rumi have long been translated into English and other languages. Persian miniature paintings have been an inspiration to artists around the world. But these important aspects of Persian culture have been overshadowed in recent decades by the image of Iran that is portrayed in the media. Especially, the contemporary works of authors and artists have been lost in the crossfire of politics and negative news. Our books are both the retelling of old stories and new writings. The books each also have a different style of illustration, which makes them unique. 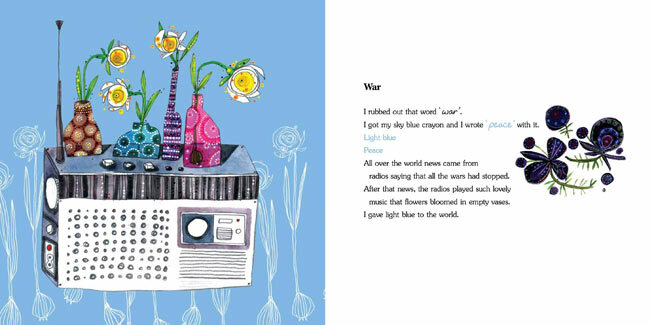 All of our books are from a spread of award-winning or new, talented authors and illustrators. There is no doubt that the work you are doing is important, but I would love to hear your take on that – so why do you think it’s significant? One of our prominent poets Hafez says, “There is only one story of love and many narratives of that same story; still it is new whenever I hear it”. I think it is important to see and hear different perspectives on universal concepts such as love, friendship, peace, and freedom. It gives us a cultural awareness of the diverse and colourful world that we live in. Children’s books are the best messengers of peace and understanding. These books illustrate a different image of Iran from the one you see in the news and in the media. Do you tend to source books that are already available or are you commissioning new works? Both! Our first collection consisted of books that were already available. Some books like The Little Black Fish were published in Iran many years ago, but some were supposed to be published there simultaneously. Unfortunately, in the end their publishers did not publish a few of these books, so it turned out that only English versions of them are available. Examples are Tahmineh’s Beautiful Bird and The Parrot and the Merchant. In our 2016 list, we are directly commissioning some of the books. Please can you introduce us to some more of your authors and illustrators? 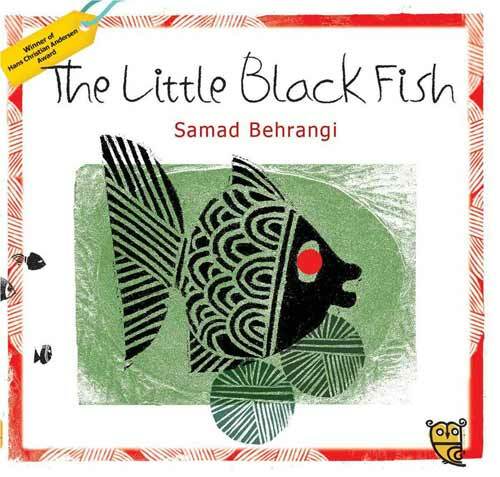 I will start with Samad Behrangi, the author of The Little Black Fish. He was a dissident teacher in the villages of northwest Iran, and drowned in 1967 at a young age (he was in his 20s). This caused rumours about his death, saying he was killed by the government. 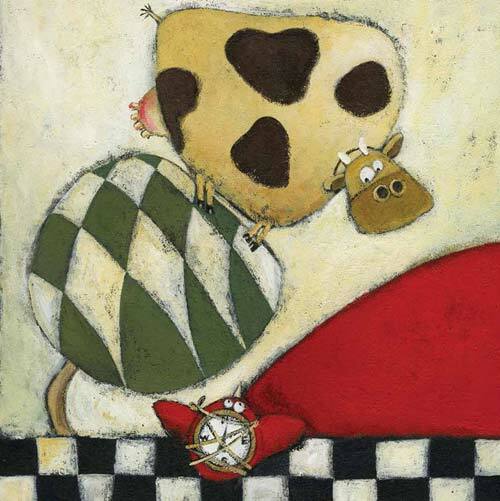 The illustrator of this book is Farshid Mesghali. Mesghali has won many significant prizes for his work, including the First Graphic Prize in Bologna in 1968 and an Honorary Diploma at the 1968 Bratislava Biennale, both for The Little Black Fish; and the Hans Christian Andersen Award in 1974. He is currently working as a sculptor. 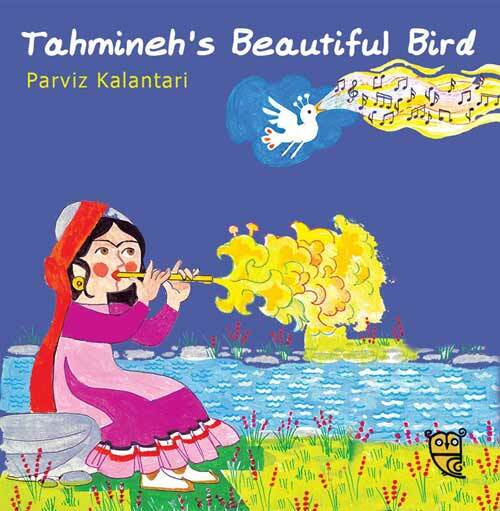 Parviz Kalantari wrote and illustrated Tahmineh’s Beautiful Bird. Kalantari had illustrated schoolbooks in Iran in the 1960s. Besides illustrating children’s books, he is well known for his ethnographic paintings, illustrating the lifestyles of nomadic tribes in Iran. We have published a book based on a fable by the thirteenth-century mystic poet Rumi. 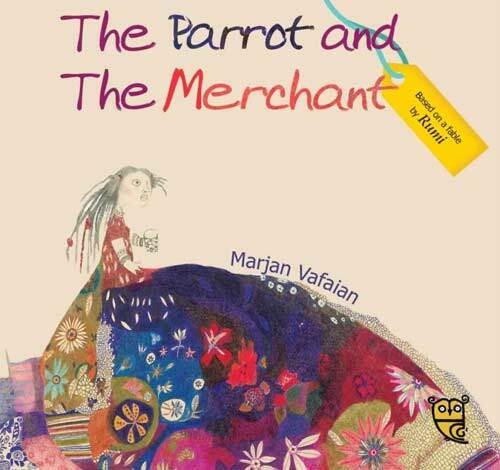 This book is called The Parrot and the Merchant and is illustrated by Marjan Vafaian. Marjan has changed the male character (the merchant) into a woman in her illustrations of the story. 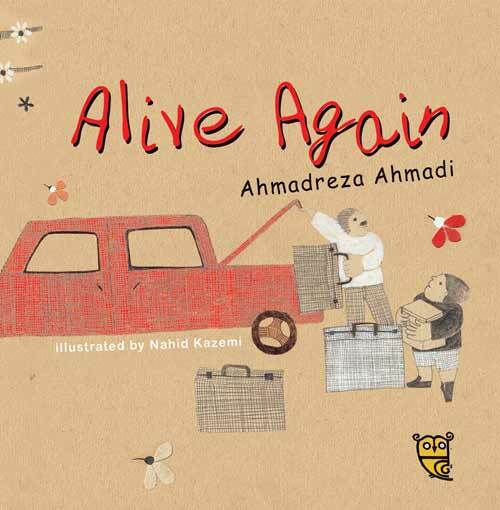 We have two books by Ahmadreza Ahmadi. He was born in 1940 and is a contemporary poet and author for both children and adults. He was shortlisted for the Hans Christian Andersen Award in 2010. The two books written by him are Alive Again illustrated by Nahid Kazemi and When I Coloured in the World illustrated by Ehsan Abdollahi. 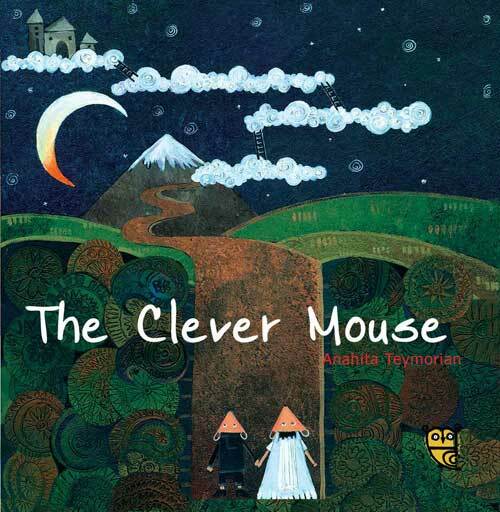 Anahita Teymorian wrote and illustrated two titles in our 2015 list. These are A Bird Like Himself and The Clever Mouse. Anahita is a very creative and talented artist and storyteller. Her stories are soft and unexpected. 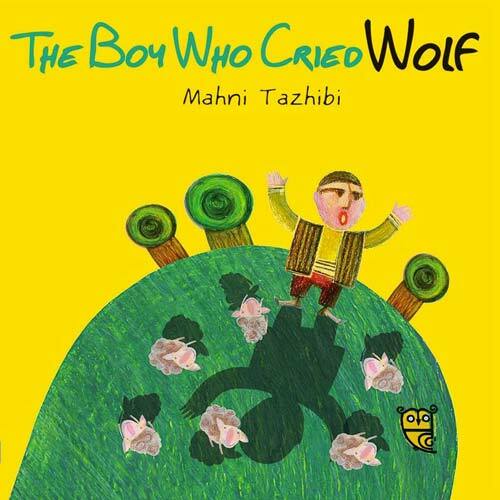 Mahni Tazhibi is another young illustrator we have published. The book she illustrated is The Boy Who Cried Wolf. Thank you for that vibrant showcase! And who are your translators – are they based here in the UK? We have worked with an excellent translator to translate our books from Persian into English. Azita Rassi is Iranian, but she is not living in Iran or the UK; interestingly, she is based in Malaysia. Have you thought at all about publishing bilingual books? Yes! Actually we first intended to publish bilingual books, but we decided to leave that option for two reasons. To publish a proper bilingual book, we would have had to make a word by word and exact translation of the text. That would make the English text sound foreign and unpleasant. We didn’t want to compromise the good translation of the books. Secondly, we wanted to introduce those illustrations and literature to a wider audience. Therefore, we decided to go ahead with the monolingual English books instead of bilingual ones. Besides Samad Behrangi’s books and The Little Black Fish, there was another book that I liked very much. It was by Nader Ebrahimi, an Iranian author, about Persian rugs. The book was illustrated by Nooreddin Zarrinkelk. It was about a shepherd who travels to the north of Iran in search of water, and on his return he tries to describe the landscapes he has seen to his children, so he weaves colourful rugs. 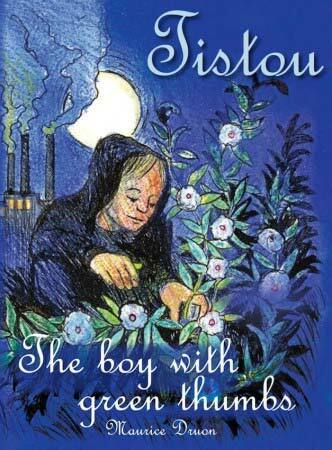 When I grew older my favourite book became Tistou, the Boy with Green Thumbs by the French author Maurice Druon. Can you give us a preview of what we can look forward to in this year’s list? 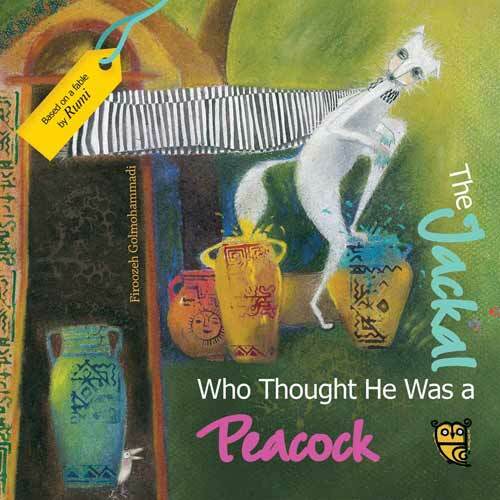 For us, 2016 starts with a book based on a fable by Rumi: The Jackal Who Thought He Was a Peacock. 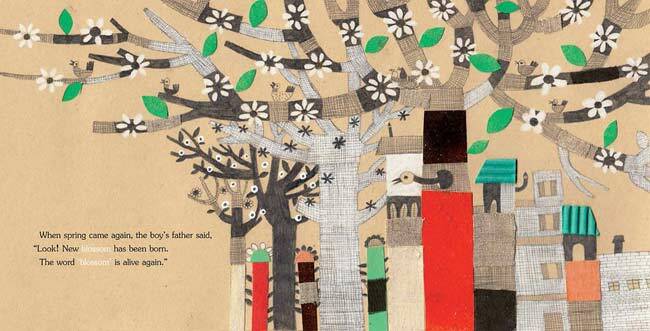 This book is beautifully illustrated by Firoozeh Golmohammadi. It’s about a Jackal who is tired of being brown and grey. He paints himself thinking he will become a peacock if the colours are right, but this doesn’t work. 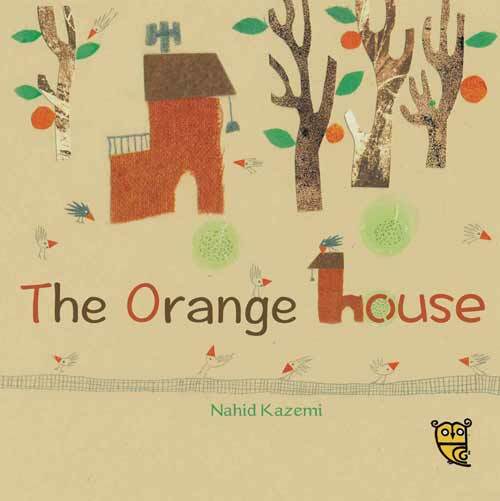 Another book coming out in January is The Orange House by Nahid Kazemi. This is a simple book about treasuring our cultural heritage and old stuff. 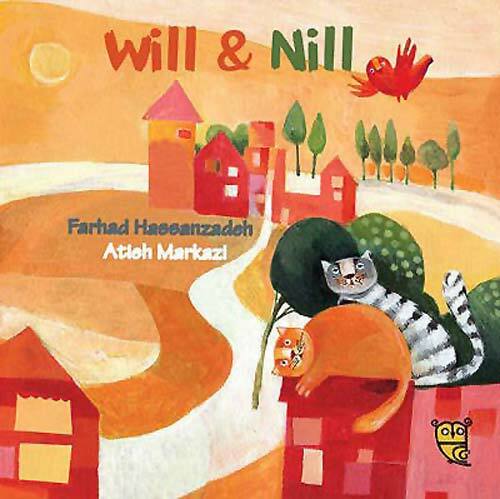 Will & Nill written by Farhad Hasanzadeh and illustrated by Atieh Markazi; and Bijan & Manijeh, based on a story from Shahnameh (The Book of Kings) by Ferdowsi and illustrated by Marjan Vafaian. What’s your dream for the future, regarding the place of Iranian books on children’s bookshelves here in the UK? I hope that these books find their place here in the UK and that children here become familiar with them and enjoy them. It has to be Tistou, the Boy with Green Thumbs, a child who brings friendship and peace to the world [see above]. 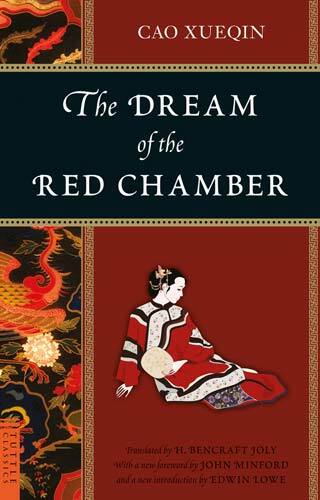 The Dream of the Red Chamber by Cao Xueqin. 18th-century China. 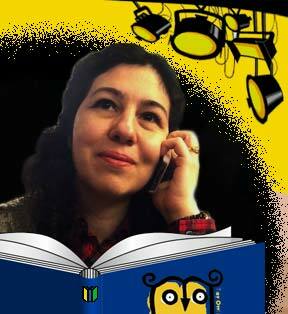 Our next step is to publish books from an Iranian author with a British illustrator and vice versa. 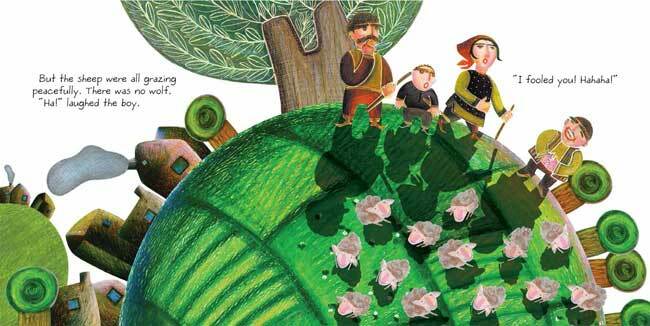 At the moment we are working on a book by Pippa Goodhart as the author and Ehsan Abdollahi as the illustrator. We would love to work with Jackie Morris and an Iranian author as well. A combination! If I had to choose, I would choose to lie on a beach. Notebook, with many scribbles and charts and drawings. I collected erasers as a kid. I still love all kinds of erasers. My husband has bought a bundle of erasers for me, which I keep on my desk. They always remind me of his kindness and sense of humour. 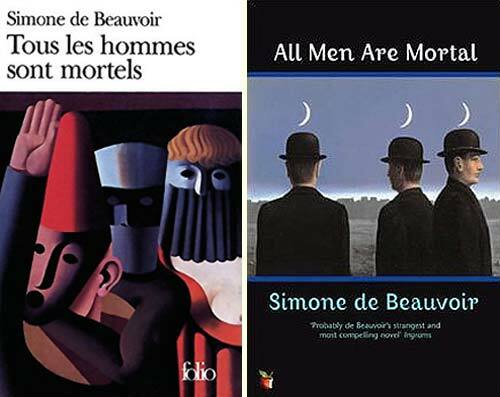 When I read All Men are Mortals by Simone de Beauvoir, I felt lucky that I wouldn’t live forever, but I decided to live life to its full capacity and be brave and make courageous decisions. Nothing about me surprises my friends! Many emails between us and our sales rep, our designer, and publicist. All illustrations are reproduced here by permission of Tiny Owls Publishing; they are the copyright of their individual author/illustrator and may not be reproduced without permission. 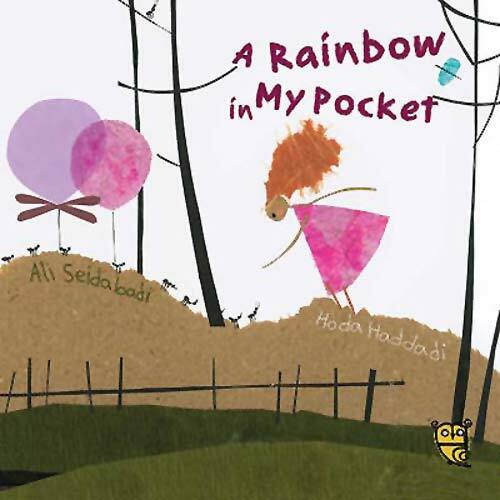 A Bird Like Himself, A Rainbow in My Pocket, Ahmadreza Ahmadi, Ali Seidabadi, All Men Are Mortal, Anahita Teymourian, Atieh Markazi, Azita Rassi, Bijan & Manijeh, Cao Xueqin, children's books from Iran, Delaram Ghanimifard, Ehsan Abdollahi, Farhad Hasanzadeh, Farshid Mesghali, Feeroozeh Golmohammadi, Ferdowsi, Firoozeh Golmohammadi, Hafez, Hoda Haddadi, Jackie Morris, Karim Arghandehpour, Little Black Fish, Mahni Tazhibi, Marjan Vafaian, Maurice Druon, MWD interview, Nader Ebrahimi, Nahid Kazemi, Nooreddin Zarrinkelk, Parviz Kalantari, Pippa Goodhart, Rumi, Samad Behrangi, Shahnameh (The Book of Kings), Simone de Beauvoir, Tahmineh's Beautiful Bird, The Boy Who Cried Wolf, the Boy with Green Thumbs, The Clever Mouse, The Dream of the Red Chamber, The Jackal Who Thought He Was a Peacock, The Orange House, The Parrot and the Merchant, Tiny Owl Publishing, Tistou, Tous les hommes sont mortels, When I Coloured in the World, Will & Nill. Bookmark. Pingback:Such a clever, beautifully crafted book! Where can I buy “The Story of Carpet Flowers’ written by Nader Ebrahimi, illustrated by Noureddin Zarrinkelk (1974)”? Visit Tiny Owl's website and follow their blog. Find Tiny Owl on Twitter, Instagram, Pinterest and Facebook. Watch Tiny Owl's YouTube channel. Read a Q&A with Delaram and her husband Karim Arghandehpour (2015). 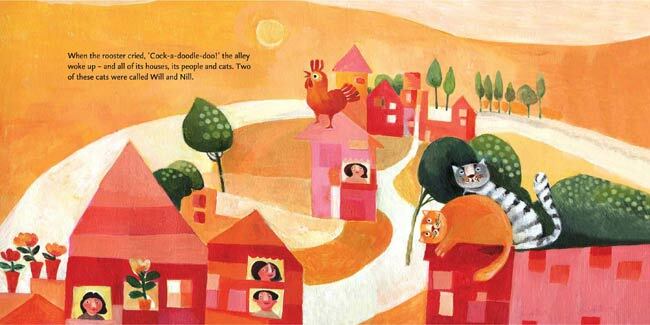 View The Guardian's Gallery of illustrations from Tiny Owl's books presented by author David Amond. 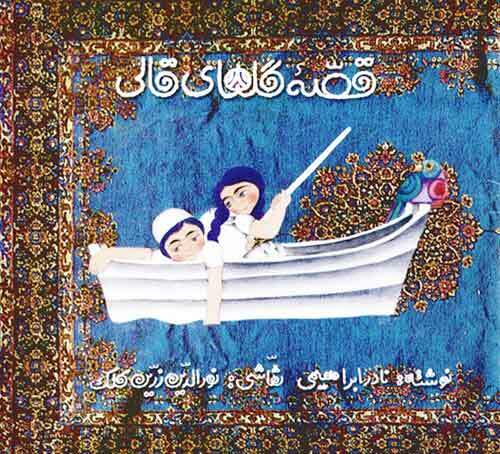 Visit the Persian Smile blog and 50 Watts to find out more about Persian children's books. 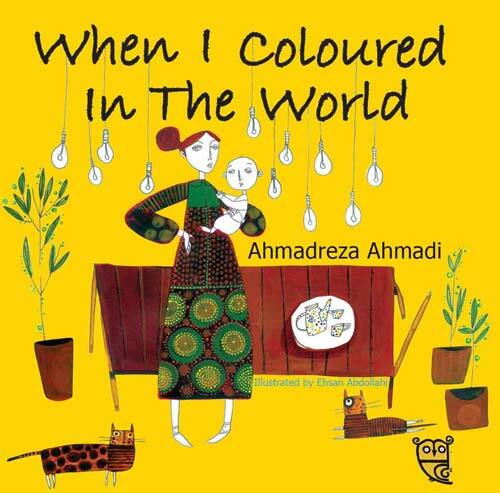 Browse books from Iran in the International Children's Digital library.